A long time ago, anchor tattoos were found on those who worked at sea. At sea, it is the most secure object in a sailor’s life. It represents stability that is why you’ll often see people with anchor tattoos with the word “Mum” emblazoned on them. It can also have the name of the person that keeps them grounded. The anchor tattoo has gained a bit of popularity and is no longer just associated with seafarers. In the Christian world, it is a symbol of strength and stability. In the past, it was believed that the anchor was used to camouflage the symbol of the Holy Cross. This was done to avoid being persecuted but at the same time, allow people to display their faith. 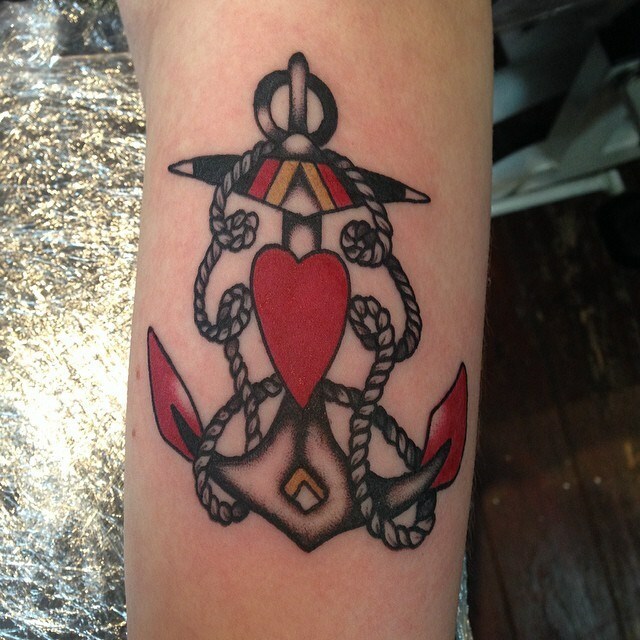 Anchor tattoos remind the wearers of hope in the midst of storm and rough situations. Sometimes it can be dedicated to someone important in the wearer’s life.